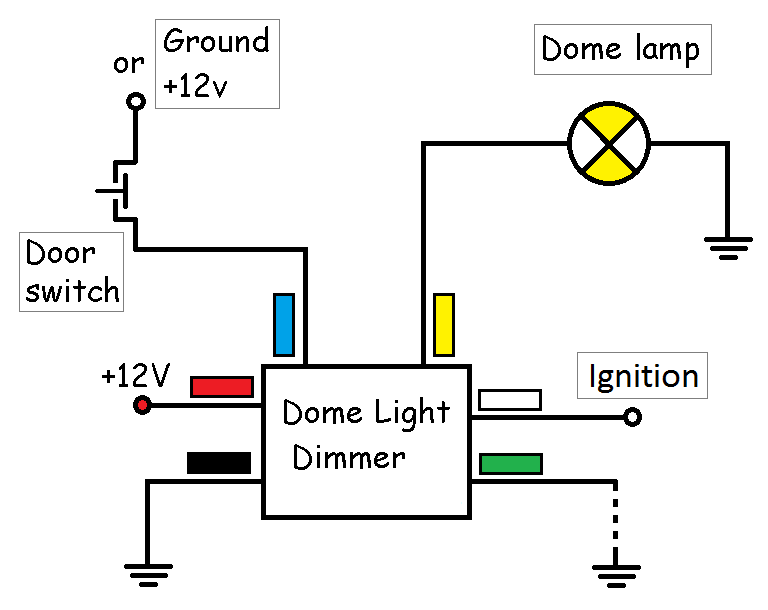 Dome Light Dimmer is a smart circuit which adds several modern features to the basic dome light. 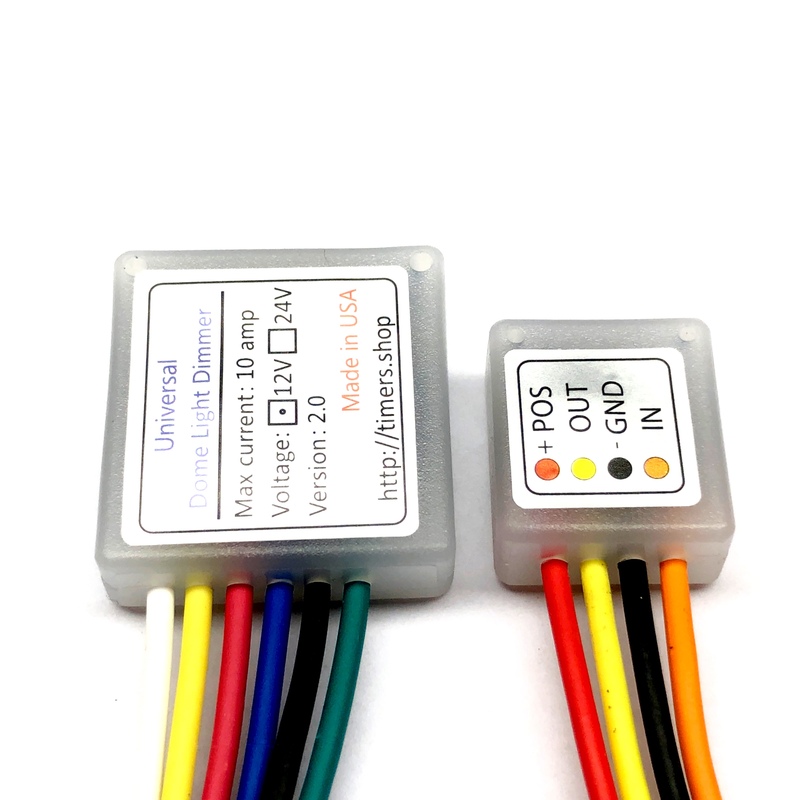 It provides modern car functionality to the dome light by slowly dimming the light after 20 seconds when a door is closed and slowly increasing the light intensity when a door is opened. It monitors ignition and if ignition turned on the light fades as soon as a door is closed. If door left open the light shuts off after 10 minutes of inactivity. 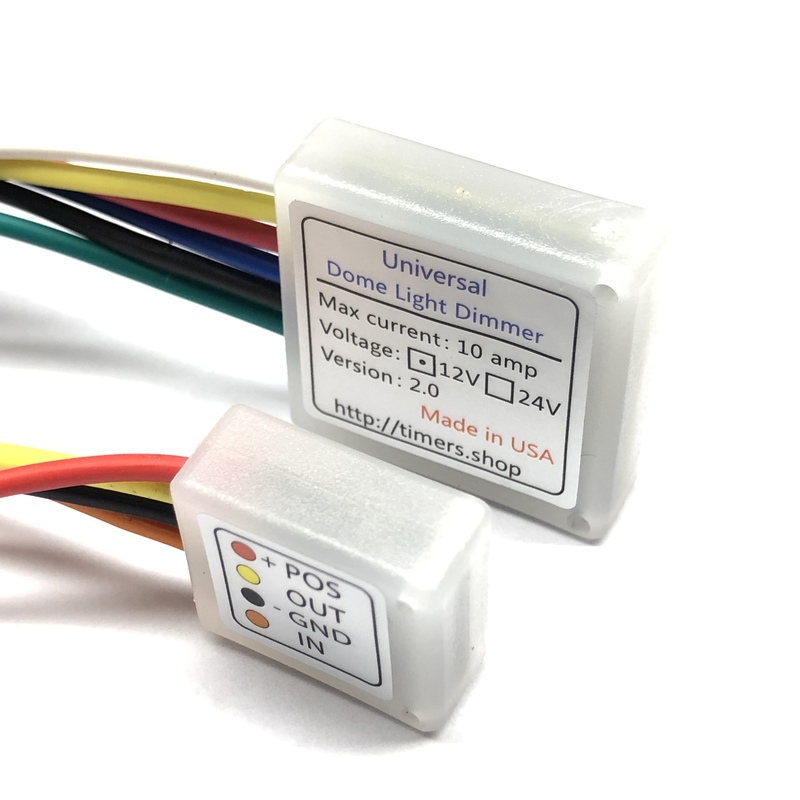 Dome Light Dimmer is universal and works with either Ground or Positive door switches so it fits any car. 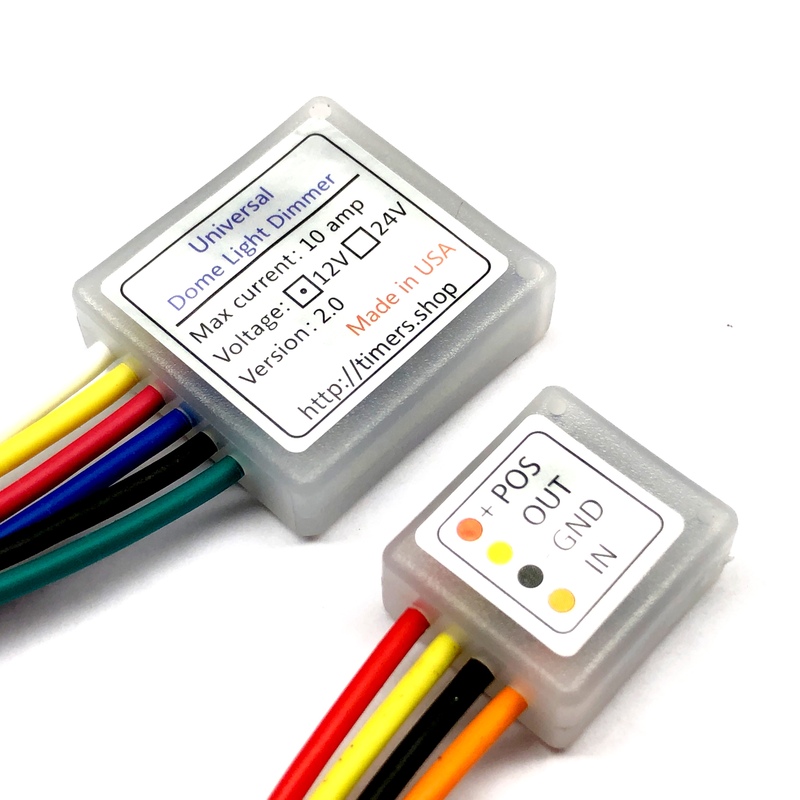 It is very small and easy to install. 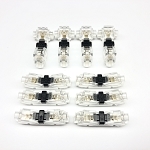 It provides up to 5 amp of current and will work with both LED and incandescent lights.